With immense pleasure I welcome you to PDM University that has evolved as one of the best education brands in India in 2017. Late Sh. Prabhu Dayal jee was the inspiration behind the creation of this temple of worship with a sole aim to serve the humanity through eradication of illiteracy from this region. Thus, P D Memorial Religious & Educational Association (PDMREA) was established at Bahadurgarh in his memory in the year 1995. Since its inception, PDMREA is engaged in catering education at different levels for the benefit of aspiring youths, especially for the educationally, economically and socially deprived class of the society. Presently, PDMREA is successfully running a group of 12 institutions from three campuses, offering specialized Bachelors and Masters programs in Engineering & Technology; Management; Architecture; Dental Science; Pharmacy; and Education in addition to Primary & Secondary levels education. Due to its huge infrastructure over a vast area, it is designated as one of the largest education hubs in north India including Delhi-NCR. The main campus itself is spread over 95 Acres of land at Bahadurgarh, thus providing a vibrant campus life for the students. Over last more than two decades of value addition, the group of institutions is well equipped with all facilities those are necessary to transform the young learners to professionally accomplished human resource. In 2016 PDMREA proudly announced the establishment of PDM University, further adding Science; Commerce; Humanities & Social Sciences; and Agriculture faculties in addition to the group of institutions which form constituent faculties of the University.  Over the years, PDM group of Institutions has demonstrated phenomenal growth in multiple dimensions making it as a front runner in the field of higher education across the country. At present, we have about 15,000 students coming from different walks of life in quest of hands-on learning experience from this technologically developed University and its congenial campus life. Our highly motivated faculty inspire these creative minds to prepare receiving value based professional expertise in international perspective and help them to build their character with enhanced cultural awareness. It is our endeavor to constantly review our curriculum, so our students stay abreast with the latest updates in this technologically developed world. As an established professional institution, we are aware of the fact that our responsibility does not cease by just producing the graduates, but help them to get suitable employment during their study tenure. To enhance their employability, we arrange addition support to empower them with latest technological support. CISCO, Microsoft and SAP certification centers are catering training to our students to achieve this objective. Besides, some of our employment oriented specialized engineering and management programs have been co-branded by IBM, making them highly demanding. You will be happy to note that the Training and Placement Cell of PDM University has been continuously helping our students to successfully undertake their career with various industries even at leadership positions in multinational and local companies. Having negotiated a long journey in shaping students career, we can confidently announce that PDM University has become a next generation Higher Education Institution equipping its graduates with ‘never before’ professional competence and latest skills. Perhaps that’s why, it has become a dream destination for the career crazy learners from Delhi-NCR and other regions. The mystery of our success is on our belief that a good academic model along with a commitment to providing quality is the cornerstone for the success of higher education institutions. As a learning organization we are focused on continuous improvement – responsive to community needs, making useful contributions to education, knowledge and the society at large. Dear students! Come and join this ever-growing PDM family and enjoy a learning experience that is limitless in dimension. We shall provide all such opportunities to shape your career and transform you as productive citizens of the country. An alumnus of Indian Institute of Technology, Roorkee (deptt. of Civil Engineering), Prof. R C Bhattacharjee maintained a throughout first class record in his academic career. 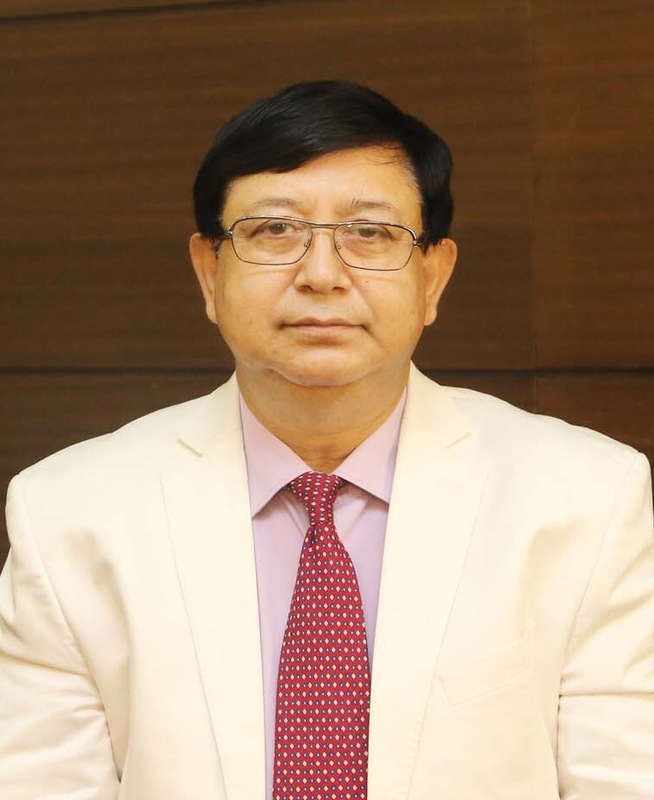 Credited with 36 years of teaching, research and administrative experience in premier technical Institutions in India and abroad, Dr. Bhattacharjee acquired diversified experience in academic quality assurance in Indian and British education systems. Before joining PDM University, Prof. Bhattacharjee served as Director/Dean of Middle East College, Muscat from 2012 to 2016, which is catering under graduate and graduate professional programs in Engineering, Technology and Management in partnership with Coventry University, UK and Wolverhampton University, UK. Prior to that he served National Institute of Technology, Kurukshetra from 1981 to 2012 in the capacity of Professor, Dean and Chairman of department, in addition to being a faculty in the department of Civil Engineering. During this tenure, Dr. Bhattacharjee served as a founder Director of Global Research Institute of Management & Technology, Radaur for two years from 2008 to 2010. Besides, Dr. Bhattacharjee shared several other responsibilities including Chief Vigilance Officer (appointed by Govt. of India); President-Students’ Clubs etc. As regards community service, Dr. Bhattacharjee was nominated as Chairman of Tsunami task force by ISDR (India) to extend technical support for rehabilitation of Tsunami victims in Tamil Nadu, India during 2004-2005. He was a member of AICTE’s expert team in India for conducting Institutional quality audit and accreditation. He is currently an External Reviewer with Oman Academic Accreditation Authority (OAAA) for the purpose of accreditation of higher education institutions in Oman. Dr. Bhattacharjee has published a large number of research papers in international and national journals and conferences. He guided several M.Tech. and Ph.D. scholars during his teaching tenure as well as successfully completed two research projects financed by DST, New Delhi, India. His research areas are design of hydraulic structures using functional optimization; and disaster management. Dr. Bhattacharjee attended and chaired several International Conferences abroad and delivered invited lectures across India and abroad especially in University of Catania, Italy; Simon Fraser University, Burnaby, Canada; University of British Columbia, Vancouver, Canada; Tampere University, Finland; and Cambridge University, U.K. Besides, Dr. Bhattacharjee travelled about 17 countries to attend and deliver expert lectures at various Scientific Forum organized by United Nations. In recognition to his outstanding contribution in the field of Science, Technology and Management, Dr. Bhattacharjee was awarded Shiksha Rattan award by H.E. the Governor of Tripura, India.